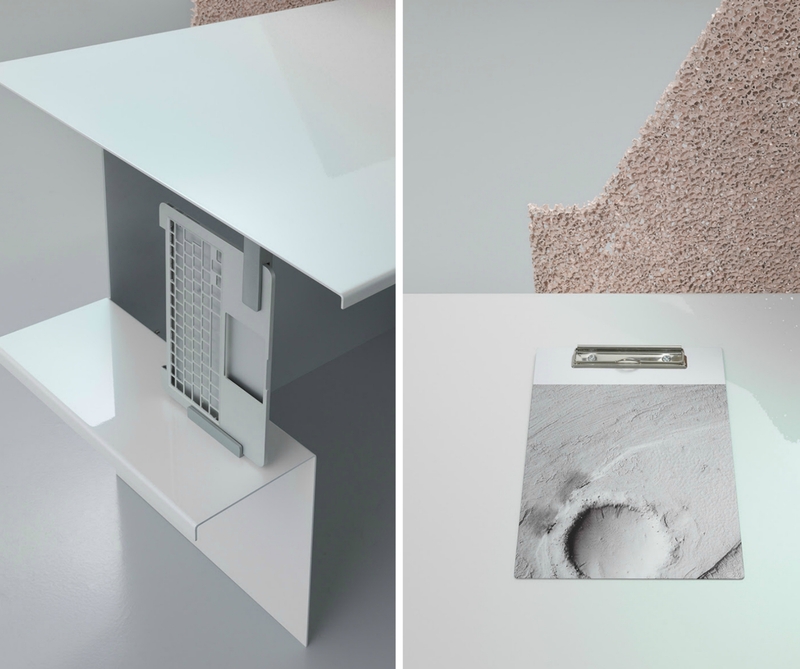 Ore Streams is a collection of office furniture including a cabinet, desk, table, low chair, and a series of accessories such as a lamp, shelf and trash can. All of the products were made from e-waste – including dead-stock or recycled materials. While many designers who strive to mask repurposed products under a glossy new façade, Formafantasma’s furniture celebrates its techy origins. At first glance, the furniture may appear like any brand of austere, contemporary furniture, however the objects have retained much of their original features. 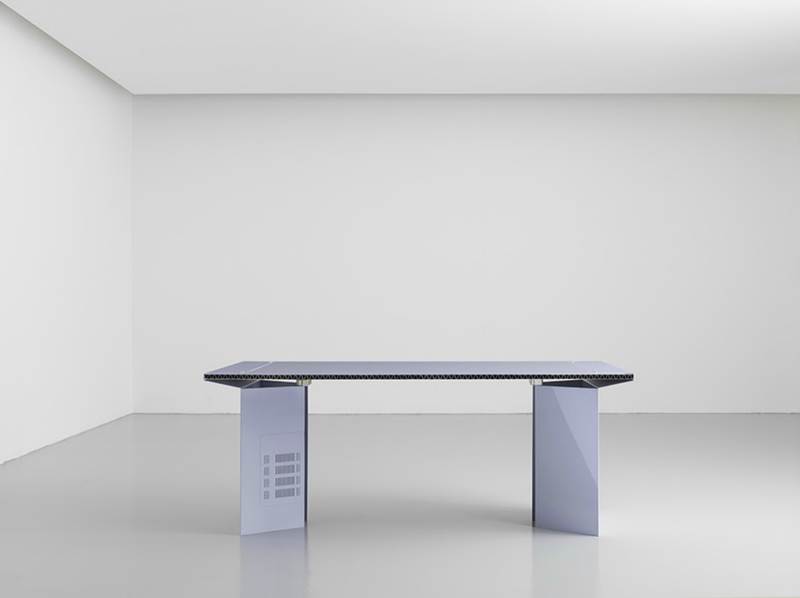 The minimalist table incorporates an aerating grid from an old microwave, along with old mobile phone castings on the underside. The original body of the microwave can be found built into a shelf, while an entire keyboard has been inserted onto the side of the desk. The original body of the microwave can be found integrated on a shelf hanging from one of the cubicles, while an entire keyboard has been inserted onto the side of the desk. 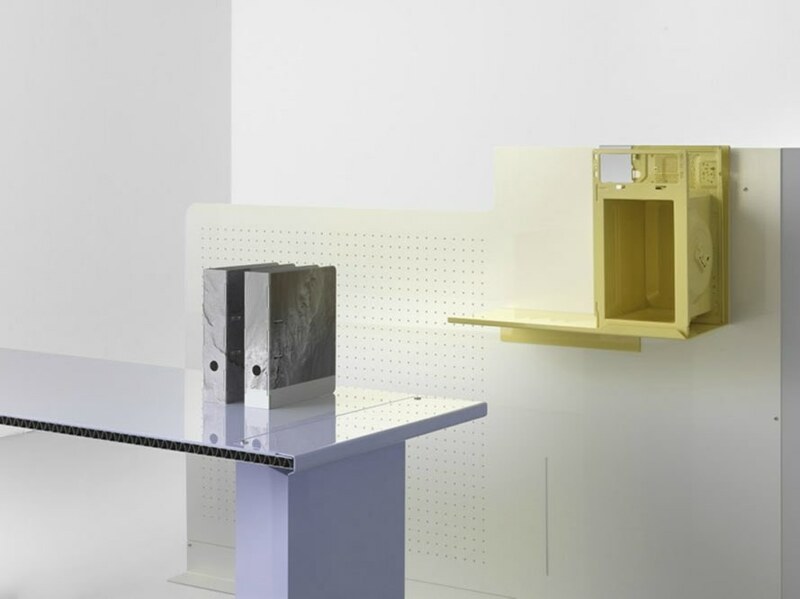 The designers' firm Studio Formafantasma is making furniture made out of repurposed e-waste. According to the designers', the aesthetic of Ore Streams was intentionally meant to remind the viewer of the world's growing e-waste problem. Millions of tons of e-waste clog up our landfills every year, but Italian designers, Andrea Trimarchi and Simone Farresin, are on a mission to breathe new life into the world's discarded electronics. 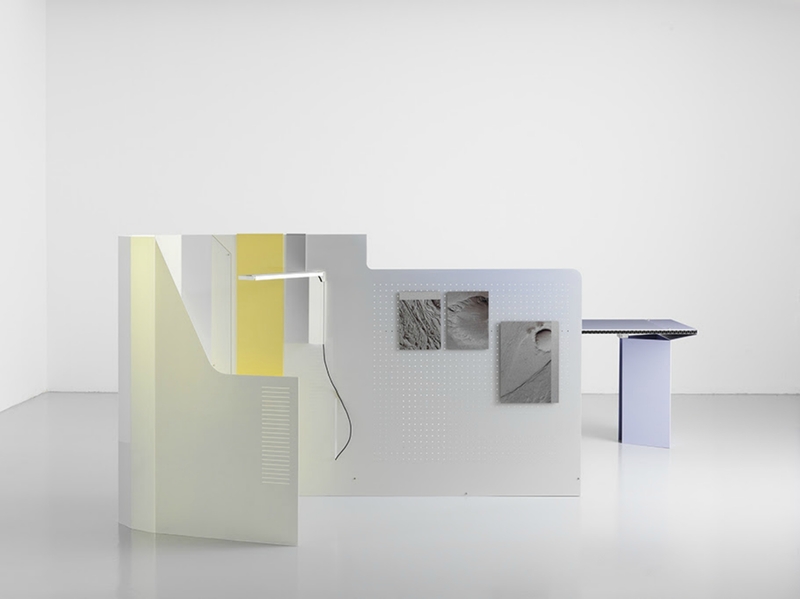 The designers' firm Studio Formafantasma is using repurposed e-waste to create geeky chic office furniture that pays homage to their techy beginnings. Formafantasma's furniture is not hiding its techy origins. 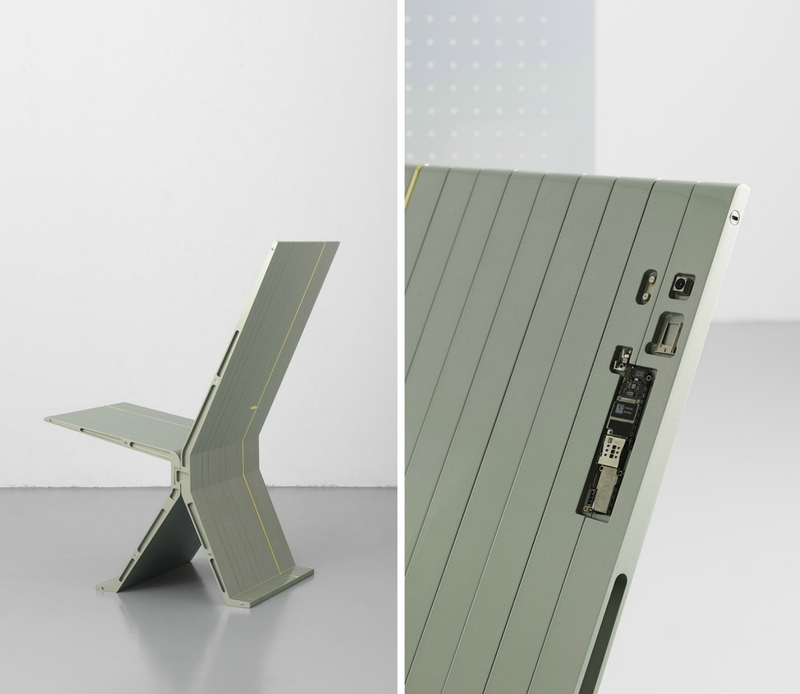 The furniture is made out of e-waste. The objects have retained much of their original features. The minimalist table has an aerating grid from an old microwave, along with old mobile phone castings on the underside. 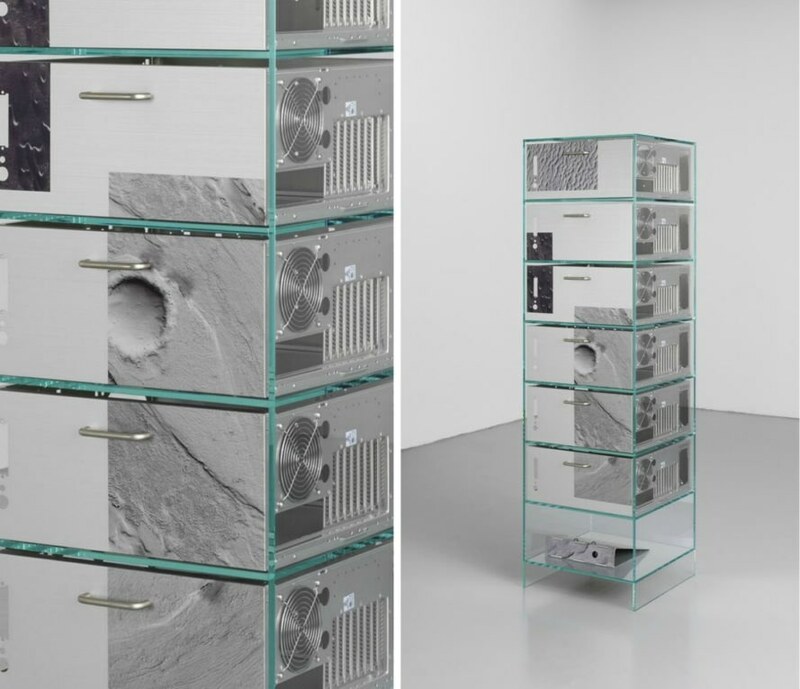 Millions of tons of e-waste clog up our landfills every year, but Studio Formafantasma is on a mission to breathe new life into the world's discarded electronics. Designers Andrea Trimarchi and Simone Farresin just unveiled "Ore Streams" - a new collection of geeky chic office furniture made from salvaged e-waste. According to the designers, "The collection of objects created for Ore Streams act as a trojan horse, using form and colour to initiate a deeper exploration of ‘above ground mining’ and the complex role design plays in transforming natural resources into desirable products."